All jewelry is one of a kind, hand carved and hand glazed porcelain. Lightweight original and mountain inspired. 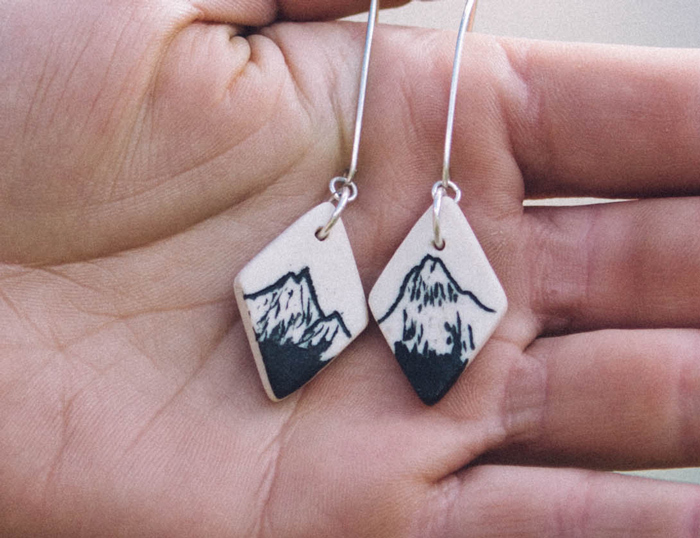 Wild Mountain Ink also has a 22k gold luster line available, also handmade and hand-glazed porcelain. 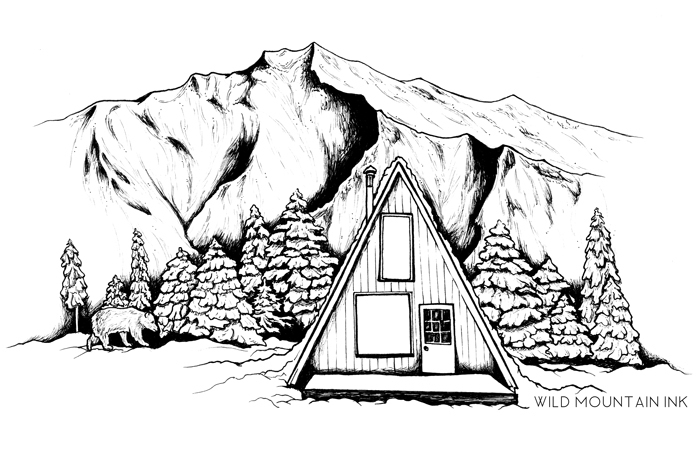 All pen and ink illustration are hand-drawn and made into archival ink prints available in a variety of sizes. 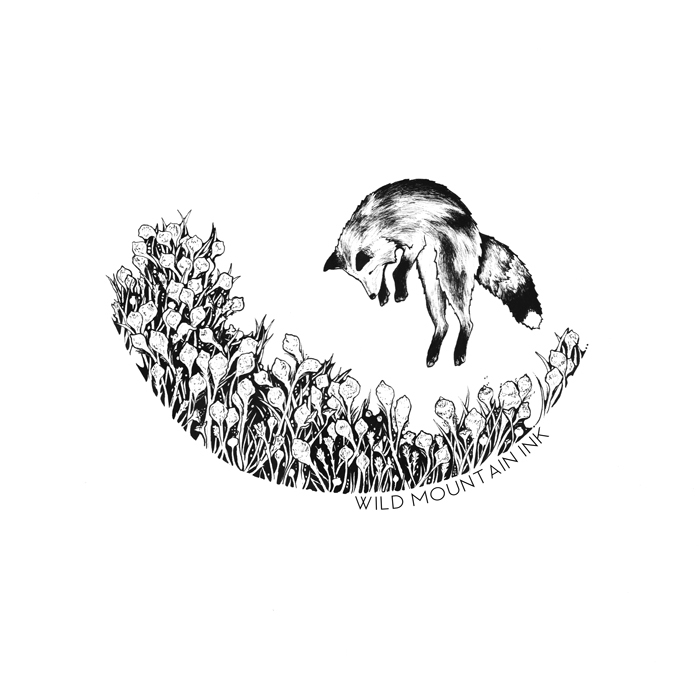 Hailey Schofield is an illustrator and jewelry maker who recently relocated to Burlington from Missoula, Montana. 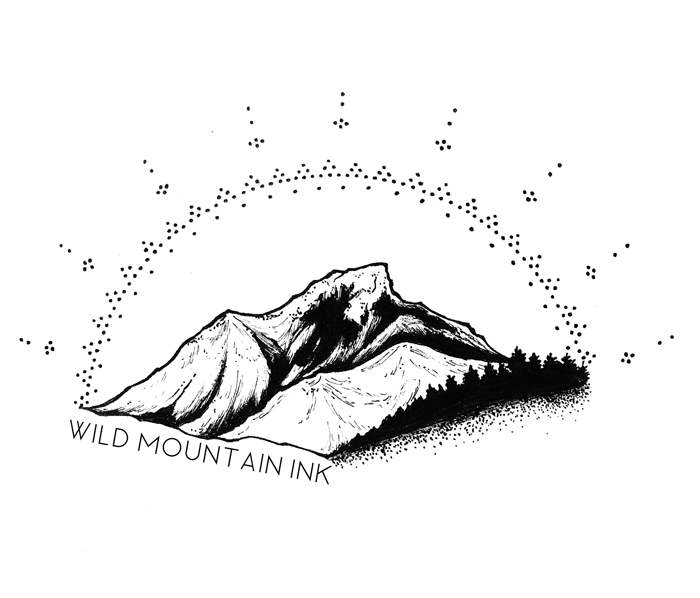 Her company, Wild Mountain Ink, is inspired by the natural world, mountains she adventures through and her travels. 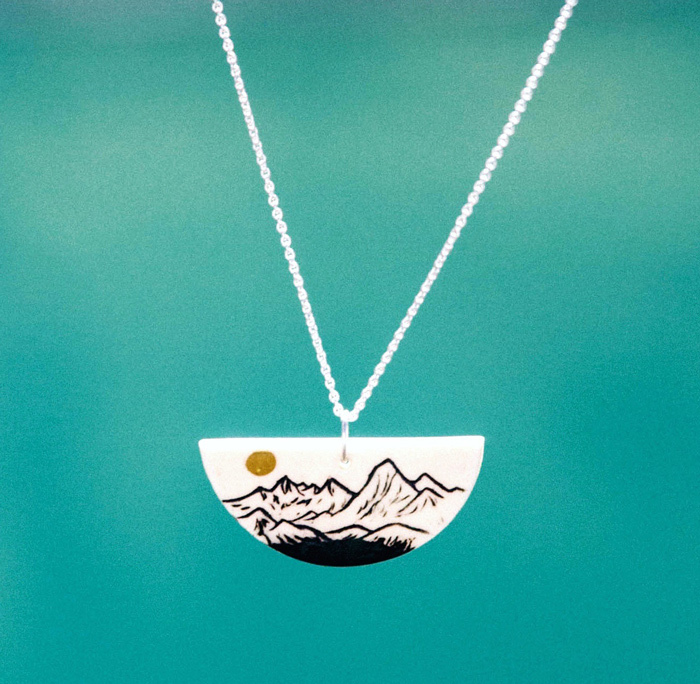 Her work shows the high contrast features of the mountains of her home and her ceramic jewelry compliments her black-and-white prints. Hailey works with pen & ink and ceramic for jewelry.